I'm optimistic about the Philippine tourism industry. 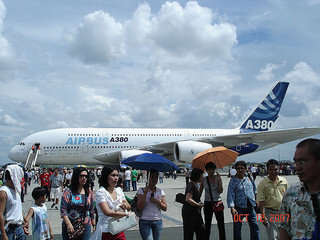 With the renewed focus of the government to promote tourism, the airline industry appears to be eager to participate. They are an essential partner because the Philippines is a country with over 7000 islands. Getting to tourist destinations easily and quickly is only made possible by air travel. That's why we are now seeing the rise of our domestic airline industry. More and more airline companies are flying domestic. A lot of budget airlines are also aggressively fighting for customers. That has resulted to fierce competition among these companies to offer the best prices they can afford. Flying has never been as affordable as it is now. It’s the people who ultimately win in this competition because we now spend less with more options when traveling. Airports have also been busier than ever. Besides the Ninoy Aquino International Airport (NAIA) in Manila, the international airport in Clark, Pampanga is also seeing more traffic than usual. Also known as DMIA (Diosdado Macapagal International Airport), Clark is fast-becoming the airport of choice because of its proximity to Manila and for having more budget airlines to choose from. If you’re not aware of these flight options, I have a list below of the airline companies flying through Clark. You may follow their links to get to their websites and find out more about them. How Good Are these Airlines? I have not personally experienced flying with all of them so I can’t be sure which one is the best. I can only speak for Air Asia which I always fly with whenever I go to Malaysia for business. I am a satisfied customer of Air Asia. They have good airplanes, good staff and excellent service. I also recall flying with Seair once when I went to Singapore. That was also a pleasant experience. I can’t recall any problems I had but that only means the experience was forgettable. I’m sure Air Asia would have been better if they had a flight going to Singapore. Air Asia flies to Kuala Lumpur, Kota-Kinabalu, Kalibo, Davao and Puerto Princesa. Cebu Pacific flies to Hong Kong, Singapore, Macau, Bangkok and Cebu. Seair flies to Hong Kong, Singapore, Bangkok, Kota-Kinabalu and Kalibo. Dragon Air flies to Hong Kong. Air Phil Express flies to Hong Kong, Singapore, Davao, Cebu, Kalibo and Puerto Princesa. Jin Air flies to Incheon. Take note that this list is updated as I write this article. It may change so you would want to check the DMIA website from time to time if you want to fly from Clark. They have a monthly schedule of all the flights which you can download easily. The last two airlines flying to Incheon, South Korea is just the result of the fact that many Koreans live in the Philippines. Clark is a very popular destination for Koreans. They have a community around the area. There is even an international school inside Clark which only has Korean students. Another popular destination is Hong Kong. Four airlines currently offer flights to Hong Kong. It would be good to check out the prices of tickets with existing promos to see which of them will offer you the best deal. If you really want to save, you may want to time your travel during promo periods. This can save you a lot of money. But you have to watch out for these promos because they easily get sold out.